You just landed an internship in the capitol building, but your car’s back at college. How do you get it there? Or you were just informed you’ve got a job transfer coming, and you’re not parting with the BMW 7-Series you carefully researched through Car and Driver last year. Car shipping in Sacramento is another thing you don’t want to jump into without some research. And finding safe, reliable auto transport is non-negotiable. Whether you’re a Folsom Auto Mall dealer needing to ship a car to a customer, or you just found a great set of wheels on AutoTrader, with us at Easy Car Shipping you get fast, dependable service. 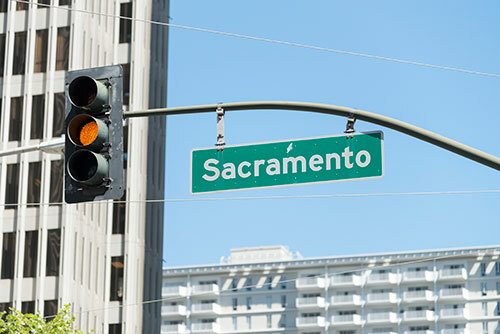 How long does auto transport take to or from Sacramento? 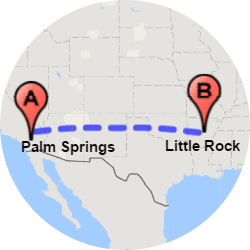 Auto shippers in Sacramento will tell you that certain factors affect the length of time it takes for car delivery. 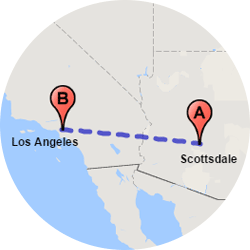 In most cases, we can arrange pick-up in 2-7 days. It’s great when you can give us at least a week’s notice. 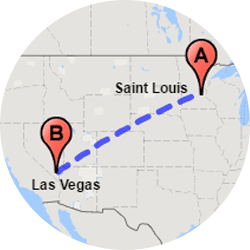 But in the case of a rush job, we’ve got express auto transport, where we can sometimes pick up in 24 hours. Is it a birthday gift? This is a great service if you need the car shipping services on specific dates or if you hired another company that dropped the ball. 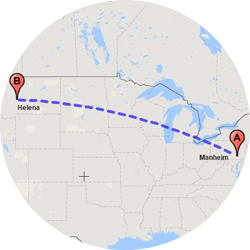 It sounds obvious, but the greater the distance, the longer it takes. 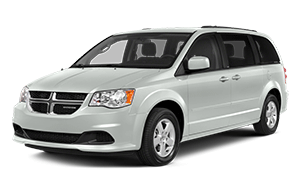 For car, truck or van transport in Sacramento to a reasonably close destination, like Eugene or Reno, drivers cover up to 200 miles a day. 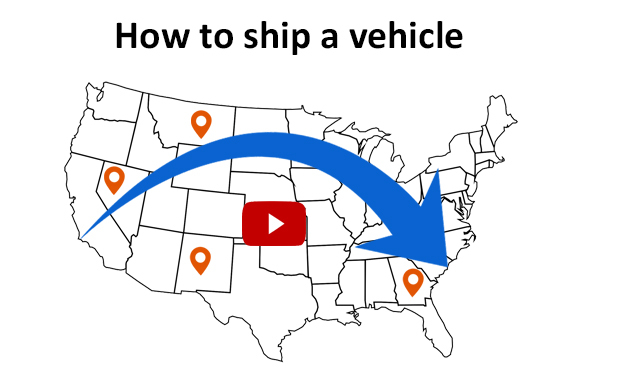 Are you transporting a car coast-to-coast? Our trucks drive up to 500 miles a day with nationwide shipping. You can visit our FAQ page to check the length of time required for your job. 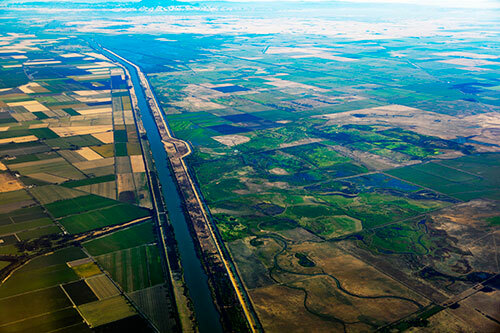 Is it going to a city or a rural area? 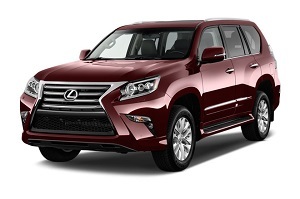 That affects when it arrives also, because getting your car to outlying areas may add time and effort to the shipment. Certain seasons of the year can affect delivery times also, due to weather or seasonal traffic. When you check out auto transport companies in Sacramento, you’ll see we stand out for our great communication between clients and drivers. We’re flexible, professional and our years of experience enable us to foresee practically any circumstance that arises. How much does it cost to ship a car to or from Sacramento? If you got into UC Davis Med School and your folks just need to get your trusty Toyota to you from back home, you don’t want to add to your loans with an expensive shipping cost. At Easy Car Shipping you’re getting maximum value, because we have access to the most competitive pricing. And the best news is, when we give you a quote we guarantee it for 14 days. Most auto transport companies will only lock it in for a week. The cost of your car relocation is dependent on several factors, including where you’re shipping. 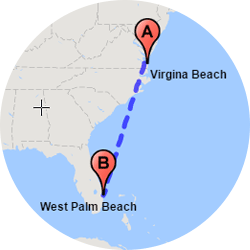 The distance is one of the biggest aspects, of course. If it’s going to St. Louis it’s cheaper than New York City. Also, whether or not it’s going to a rural community may have an effect. 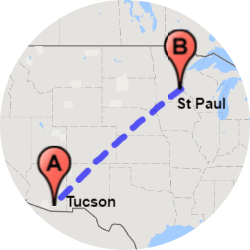 So, for instance, if you have to ship your Honda to your son at UofA in Tucson, it will likely cost less than if you’re sending it to your daughter at Yavapai College in Clarkdale. Most car transport companies will tell you that when your vehicle shipping occurs has a bearing on the cost, too. Certain times of year the roads are more crowded and the increased traffic can slow the car transporter down. The type of carrier you need when you ship a car in Sacramento has a bearing on the quote. The open vehicle trailer is the kind you often see on the freeway. It’s a perfectly safe route to go, unless you need luxury car transport. That is one of the circumstances that may prompt you to book enclosed auto transport, which is an additional cost. If your vehicle doesn’t run, or it’s an unusual size or needs other considerations, it may have a bearing on the quote. Do you need a car right away? You may choose express auto transport instead of standard delivery. Those prices are different as well. The best news? With our Quick Quote system, we lock in the price for 14 days – guaranteed. 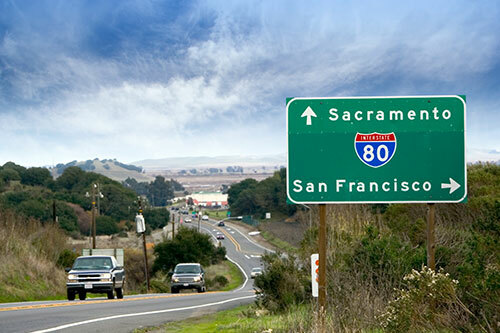 Why choose Easy Car Shipping for vehicle transport to or from Sacramento? Choosing a transport company for cars in Sacramento is a big decision, especially when the stakes are high, such as a classic car transport to a customer. That’s all the more reason you want someone with experience. We’ve been in the car business for three decades, and have successfully completed everything from shipping tractors to exotic car transport. 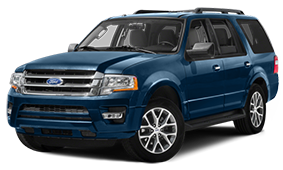 No matter what size or condition, we get your vehicle where it needs to be. 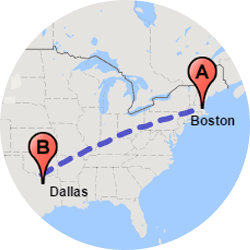 We know the possible snags in the process of auto shipping, and with the level of ongoing communication you get with us, the bumps in the road feel more like smooth sailing. The driver keeps you informed so you’re comfortable with the safe, reliable door-to-door delivery you’re getting. Our goal is to exceed your expectations. Also, our Quick Quote guarantee is twice the industry average, which is 7 days. So there are no financial surprises. Our customers consistently keep us at an average rating of 4.6 out of 5 – higher than our competitors. And it’s probably obvious, but car shippers are not all the same. 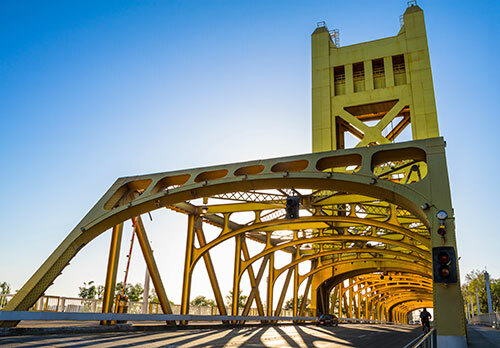 Enclosed car transport in Sacramento is advised for a few situations in particular. 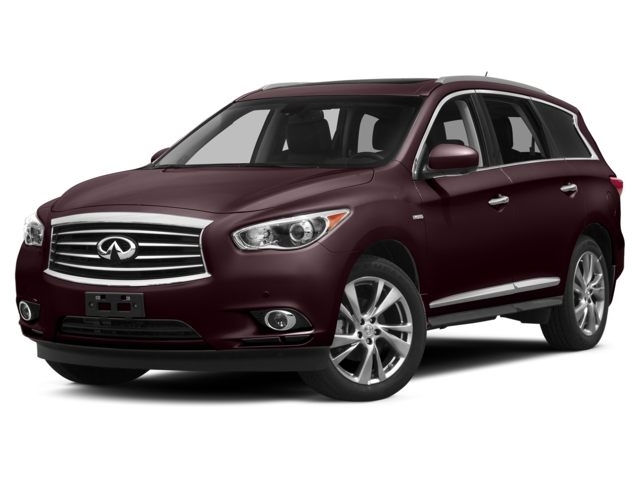 If you’ve consulted CarMax and your car is valued at $70,000 or more, we advise you to choose an enclosed carrier. This kind of walled-in style of auto transporter ensures your vehicle is protected against dirt, rain, snow and sun. 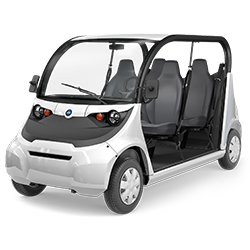 For golf cart transport in Sacramento we also recommend the closed carrier, because it’s a more secure method for lightweight cargo. Motorcycle shipping in Sacramento is the same – safer in an enclosed setting due to its weight. Open carriers can stack 7-10 cars on their trailer beds, while an enclosed trailer usually holds as few as 1-2 vehicles, or up to 6 vehicles on long distance routes. It’s a kind of “first class” method of vehicle shipping in Sacramento, providing your car the additional attention it needs. Yes, you get comprehensive insurance when you ship with us, and it’s included in the quote. There’s no big surprise at the end, with a whopping addition to your bill. You’re covered under the carrier’s cargo insurance and there is NO deductible for you. Part of our service to you is to be sure the appropriate insurance is in place. The limits to the insurance are spelled out, which are “Acts of God” such as a tornado. In that case, coverage would revert to the owner’s vehicle insurance. The best insurance you get from us is our promise that your vehicle is our top priority. Whether it’s a Porsche or a truck transport in Sacramento, it’s our expertise. We help dealers, buyers, sellers, bus companies, contractors – you name it. 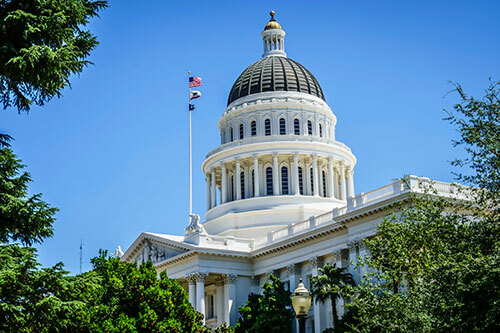 We assure you that virtually any auto transport in Sacramento is available – even challenges like an truck that won’t start or an van leaving a job site. We have a range of options for you, regardless of your situation.